On May 21, 2016 Mike & Mitch made an appearance on BronxNet cable television OPEN program to promote the sport of paddleball and the Paddleball Family Alliance Youth Paddleball Clinic Program. 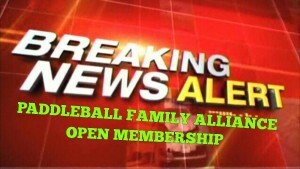 The Paddleball Family Alliance (PFA) is making membership available for anyone that would like to join, the membership dues is $40 annually. What is the reason for membership dues? In order to grow the sport of paddleball, small & big ball, we must showcase the sport across the Tri-State Area by putting on display the beauty of our sport. 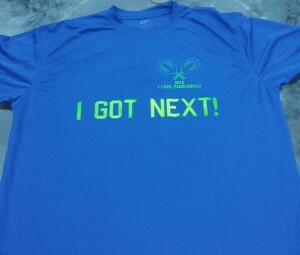 The way to accomplish this goal is by scheduling tournaments, youth clinics, awards presentation to recognize ALL contributors to the sport and much more. All of the aforementioned requires funding. Membership dues alone is not going to generate the funds needed to successfully run these events but it will help us get started. Eventually we will need contributions from businesses to be able to put on some of the big events. What do I get for my $40 membership dues? 2. 20% discount entry fee at all tournaments promoted by the PFA, we’ll work with other tournament’s coordinators to try get member discounts for those events. 3. Discounts to all PFA special events like awards presentation. 4. Access to PFA website Members ONLY section where valuable information such as store discounts, nutritional tips, and others, will be posted. 5. 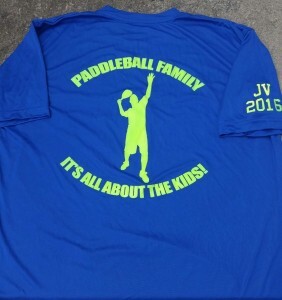 Invitation to Members ONLY summer picnic, Paddleball, DJ, Volleyball, Basketball, raffles and more. 6. Voting right to general issues that affect the Paddleball community. Please join us for some Paddleball games at Colucci park from 11 to 6PM. I will be there between 1 & 2 PM. Howard Eisenberg – Won the U.S Paddleball Association Men’s singles titles from 1961 thru 1964 and Doubles(with Victor Niederthoffer) titles in 1964 & 1965. Chis Lacakes – Won the U.S Paddleball Association Men’s Doubles titles in 1961, 62 & 1966 with Barky Boodakian and 1968 with John Bruschi. Howard Hammer – Won the U.S Paddleball Association singles in 1967 & 1968 and Doubles in 1963, with Hy Kaplowitz,, & 1967 with Morty Wolkorff. Howard also won The American Paddleball Association Doubles title in 1971 & 1972 with John Bruschi. Dorothy Wasser & Dinah Stoller – Won the U.S Paddleball Association Women’s Doubles in 1971.